Is Your Heating System In Need Of A Tune-Up? When the cold winter months finally come back around, you and your family want to be absolutely certain that your State College home's heating system is up to the task of keeping your home warm and comfortable all season long, but for many homeowners, that isn't always the case. In order to keep your State College home's heating system up and running its best when the weather outside is at its coldest, the best thing you can do is invest in a professional heating tune-up, and our team of pros here at The Best HVAC would be happy to help. 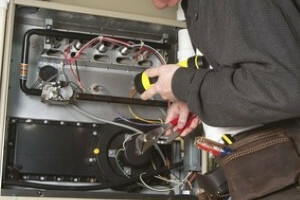 Has it been a while since you had any sort of maintenance performed on your home's heating system? Heating malfunctions and breakdowns are at their most frequent during the winter months, and if you don't want to be one of the homeowners stuck in the cold this winter, give your local State College HVAC company a call today and let us provide you with a comprehensive heating tune-up to help keep your system up and running its best. Here at The Best HVAC, our team of professional heating contractors have the skill and experience necessary to provide you with the quality service you need to keep your system up and running as efficiently and effectively as possible this coming winter season. Not only will a heating tune-up help you keep your system clean and functioning efficiently, but it will also help to resolve small issues that can cause damage to your system over time and prevent the need for expensive repairs. If you have any questions about our full line of heating tune-up services, or if you would like to schedule an appointment for consultation with one of our specialists, give us a call today. Our team of experts are always standing by and ready to assist you in any way we can. Anytime your system seems like it is having trouble performing up to its usual level, or it has just been a while since you had your system maintained, it is always a good idea to call in the heating tune-up pros here at The Best HVAC. By taking the time to have your system professionally tuned-up every so often, you can catch most issues while they are still small and have yet to do any lasting damage to your system. This can go a long way in helping to prevent costly repairs and even total system breakdowns over time, as well as helping to extend the lifespan of your system as a whole.